Enrolments continue to increase with our current enrolment being at 661 students. 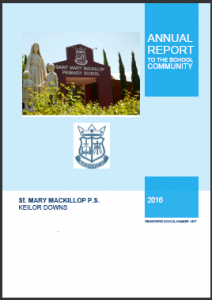 The increasing demand for places testifies to the reputation of our school in the local community and surrounding suburbs. Throughout the past three years we have addressed the transformation of our school buildings. We believe that if our community learns and plays in an environment in which they can take pride, expectations can be raised and met on all levels. Our student body is proud of their school. This is very much demonstrated in their respect for each other, their teachers and their school environment. We have begun the transformation of the school grounds. We hold true to the belief that attractive school grounds, with a variety of spaces for active and passive learning and recreation, promotes an environment conducive to academic, physical, social, emotional and spiritual learning.